Physical Therapy After Your ACL Surgery: What's Most Important? - Jeffrey H. Berg, M.D. Physical Therapy After Your ACL Surgery: What’s Most Important? Welcome to the 4th installment of our web-based symposium about physical therapy. What do you see as the most important components of a successful Physical Therapy program following ACL surgery? I think first and foremost starting ROM early and often is crucial to making the total experience much easier and less painful. I always say the strength will come with time but if ROM continues to be limited over time it can lead to adhesions and acquiring full ROM can be even more difficult. Beyond that weight bearing strength activities should be progressive going from very easy early on and becoming more challenging as swelling, inflammation and pain are decreased. Pushing weight bearing activity too hard early on can lead to more inflammation and possibly inhibited motion in the knee. The rehabilitation process after an ACL surgery is a challenge for the patient. In my opinion, the most important aspect of the process is for the patient, surgeon, and therapist to have good communication regarding expectation for progression based on the nature of the injury and what was repaired in the surgery. Often times surgery can involve the ACL, and sometimes include injuries to the MCL, LCL and/or meniscus. A multi structure injury can require a much different approach than an isolated ACL tear. Understanding the specifics of the surgery can help set reasonable expectations, and guide a better rehab experience. It is true that the rehabilitation process following an ACL reconstruction can be difficult; however, a successful recovery can be facilitated with sound physical therapy that contains some key components. Early in the post operative process, the first key component is education. 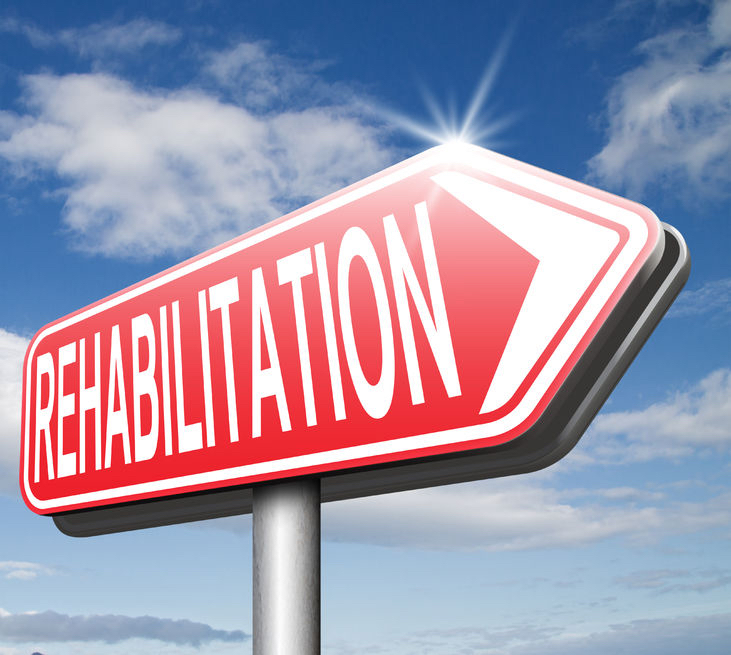 Following surgery, it is important for a therapist to educate the patient on their post-operative rehabilitation protocol. This information helps the patient understand what there restrictions are, how they are progressing toward achieving their goals during the treatment process; as well as, what they can expect week to week throughout their recovery. The second key component is emphasis on achievement of full active terminal knee extension (TKE) or the ability to fully straighten ones knee with use of a volitional quadriceps femoris contraction. The ability to demonstrate a solid quadriceps contraction translates into stability with activities such as normal ambulation and stairs. Third, is use of training techniques to help normalize a patient’s a gait cycle. Many techniques can be utilized, including: video analysis, visual cues, verbal cues, and in some instances assistive devices. Achieving a normal gait pattern is important for the general health of the patient’s knee; as well as other structures which can be ill effected as a result of a improper gait pattern (i.e. hip, spine, etc…) The fourthcomponent, is utilization of select modalities to assist a patient with pain relief, maintenance of edema, and neuromuscular re-education of the quadriceps femoris. Some of the most common modalities used to address these are: ice, electrical stimulation/TENs, and vasopneumatic compression devices (i.e. Game Ready). The final and what I feel is the most important component to a successful rehabilitation program is progressive exercise prescription, including: knee/hip/core strengthening, balance/proprioceptive activities, and plyometric training; as allowed per the providing surgeon’s protocol and each patient’s specific tolerance or limitations. Throughout the rehabilitation process a skilled therapist will use exercise prescription to address deficits in strength and balance; as well as, improve biomechanics for return to pre-injuy level of function. I believe the most important component of a PT program to recover from ACL surgery is the work the patient puts in outside of therapy. I always tell my patients that they will be seeing me 3-4 hours a week at the most. That leaves over 160 hours per week outside of physical therapy where it is crucial that the patient is performing their home exercises and following their precautions. I look at physical therapy as a partnership with my patients. It is my job to progress the program safely and quickly and perform my hands on techniques, and it is the patient’s job to put in the effort outside of therapy. Both are equally important aspects of recovery and if the patient isn’t working as hard or harder outside of therapy, then recovery can be compromised. Recovering from an ACL tear is a very demanding recovery physically and mentally on a patient. A successful PT program should focus on the identified impairments, functional limitations, patient goals, and sports related or work related demands for each patient. The program should also be adjusted based on the graph type utilized by the surgeon for reconstruction, since each graph type presents with different deficits. One aspect that I believe to be a critical component is making sure the patient achieves ROM comparable to the uninvolved side. This makes the difference between an excellent knee and a good knee. Also designing a program focused on keeping the patient challenged and motivated are necessary components since the recovery is very lengthy. Patience. Once the initial swelling and mobility returns, patients often mention they feel that they can do most anything, but underestimate their ability to catch themselves during quick movements. Retraining muscles to react to change in velocity and adjust to ground reaction forces takes time, but ultimately is what will prevent any athlete from re-injury. ACL recovery is definitely challenging but is one of my favorite diagnoses to treat. Successful PT requires a good line of communication between the patient and the PT, education of patient and caregivers and patience to allow for proper healing. This is not a short recovery and patient education and compliance is of utmost importance due to the potential for re-injury if precautions not taken seriously. Learn what is needed for your success. You would never start on a trip without knowing the destination, route and potential obstacles. Recovering from your ACL surgery is a journey like no other. You need to have a clear understanding of the path ahead, what is expected of you and where the potential pitfalls lie. Your therapist and surgeon have done this before. They are great resources. Use them. Communicate with your surgeon and your physical therapist. They want you to get better. They will communicate with each other. Be sure to communicate with them. Give them feedback. Not everyone recovers at the same speed and responds to the same exercises and modalities. Help them help you. Let them know what is working and what is not. Be patient and stay positive. Your recovery will be more like a marathon than a sprint. There will be tough days and likely setbacks. Your progress will be slow. It will take about three months before you can jog and at least a year before you fully recover. Don’t get discouraged, just keep moving forward and view each day as one step closer to the finish line. You must do your “homework”. The time you spend in PT will be only a small portion of the time that is needed for success. Some things will need to be done with your therapist. Others will need to be done more frequently, so you will need to do them at home. It will take discipline, determination and effort but a successful recovery requires it. There is no shortcut. You need to be continuously challenged. Your program should not be static. As you develop increased strength, flexibility, function and confidence, your therapist will “push” you with progressively more difficult exercises. Expect this. Work on regaining full knee extension and normalizing your gait early and often. You can’t walk normally, let alone run, without regaining the ability to fully straighten your knee. For an optimal outcome, you must regain full extension and a normal gait. There is a “window of opportunity” to regaining motion. You can’t afford to wait until you feel better to start working on this. You need to be “ready to go” from the very beginning. Recovery from ACL surgery is difficult and long. The path from surgery is not typically a straight line and frequently setbacks can occur. By following these experienced ACL therapists’ advice and your surgeon’s instructions, you can have a successful result. But it will take time and a lot of hardwork.